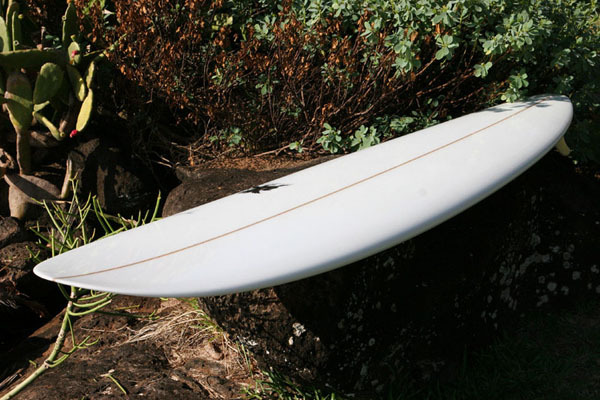 All my longboards feature a 3, 4, 2, 1 multiple plane bottom creating multiple planing surfaces to make a livelier board that feels narrower, faster and quicker than conventional longboards. 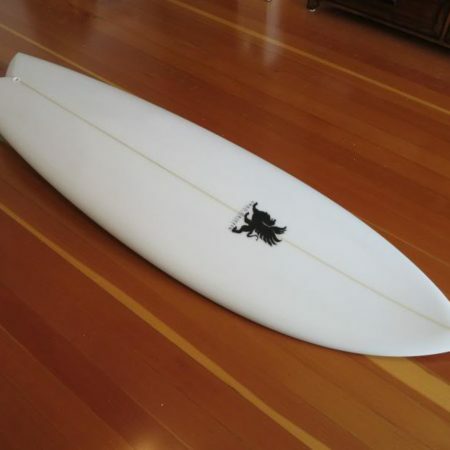 Based on the best single fins of the 70’s. 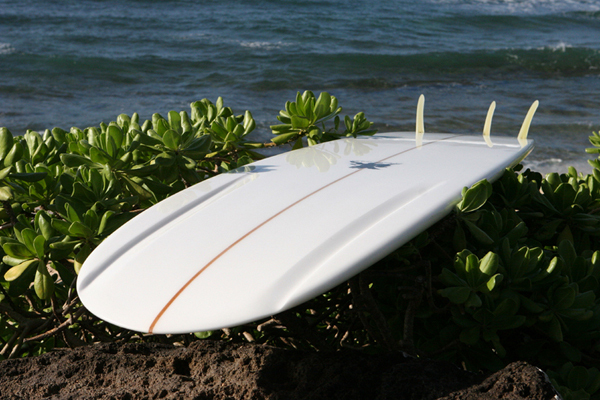 These boards are available as single fins, 2+1, 3, 4 and 5 fin setups. Nose channels are available for smooth nose control. 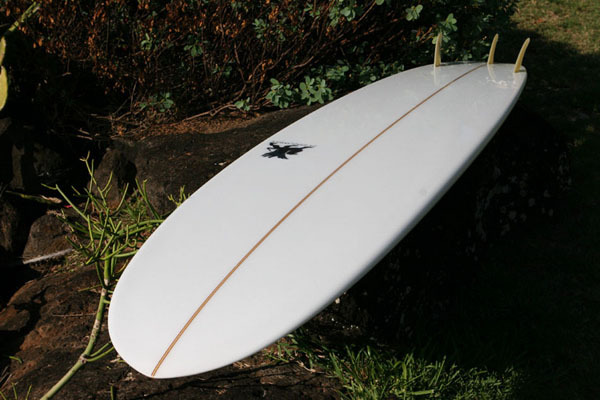 Deep six channel bottom thrusters are also available. 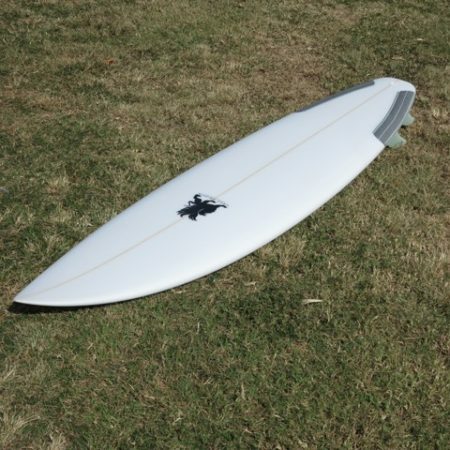 The thruster setup has good rail energy from its side fins with the added drive and direction of the rear fin. 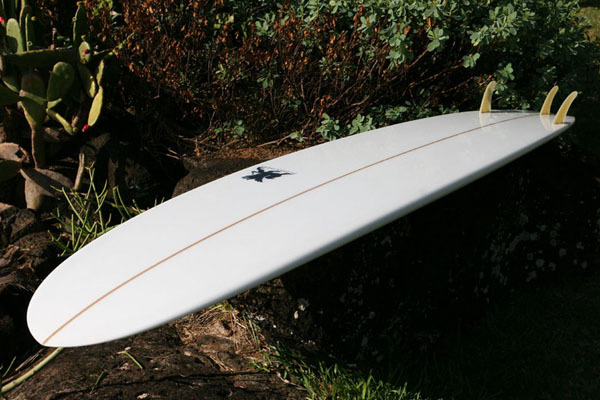 The 2 + 1 has smaller side fins and less resistance to laying over in a turn compared to a thruster and brings back great memories of the big bottom turns of the 70’s. 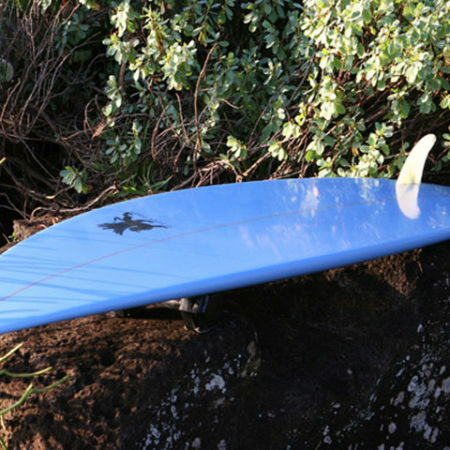 The larger center fin generates great drive and hold if shaped well and good noseriding. 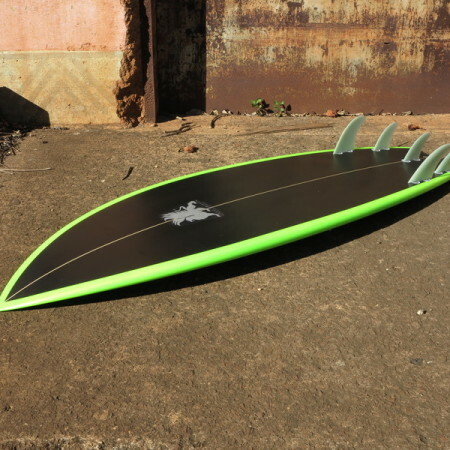 The reduced size thruster set with the deep 6 channels balance out this board’s drive and hold to give it constant acceleration at all times. 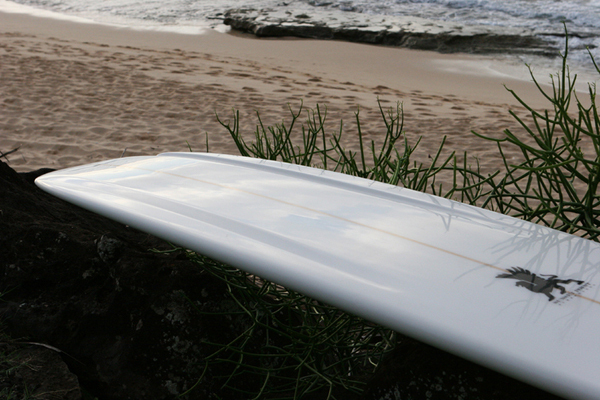 While these smaller fins are releasing, more water is running through the channels moving the board forward. Big Fun! 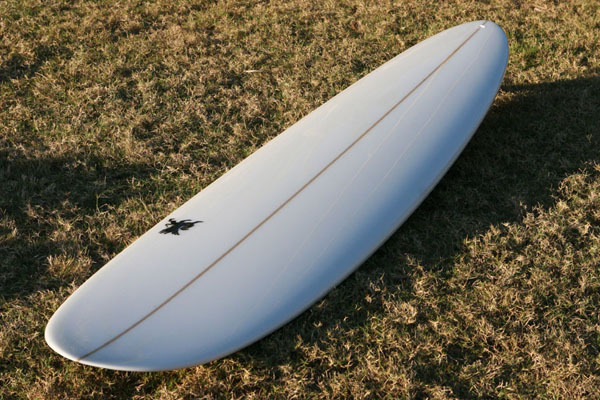 The 5 fin splits the rear thruster fin into 3 across putting some of that fin area on the rail giving it instant acceleration, greater against the face drive and very smooth control in all situations.